Eintracht Frankfurt will be looking to end a three-game winless run when they welcome 1. 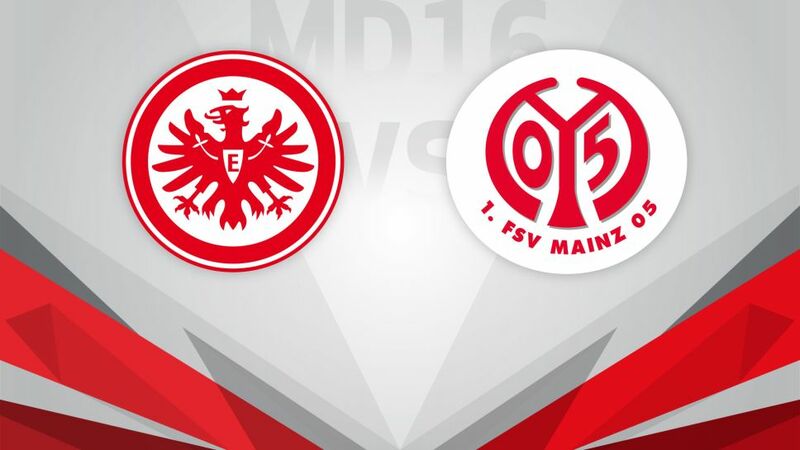 FSV Mainz 05 to the Commerzbank Arena in the Rhine-Main derby on Tuesday (kick-off 20:00CET/19:00GMT). With 26 points on the board, Frankfurt are enjoying their best campaign in 23 years since Jay-Jay Okocha was in the side, but The Eagles are currently on their worst run of the season and are without a victory in three. Niko Kovac’s charges suffered a disappointing 1-0 defeat at VfL Wolfsburg last time out and will want to bounce back with a win in the derby and cement their position in the European places over the winter break. Martin Schmidt’s men returned to winning ways at the weekend thanks to Danny Latza’s superb hat-trick in the 3-1 win over Hamburger SV. The 05ers have previously struggled away at their neighbours with just one victory in 13 competitive visits, although that one win did come on a Tuesday. A good omen, then, for the away side as they look to keep pace with the other teams vying for European qualification going into the winter break.